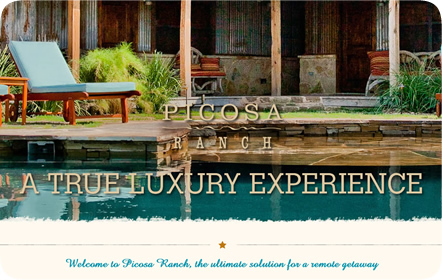 Picosa Ranch is a South Texas treasure and getaway located a mere 30 minutes from downtown San Antonio. 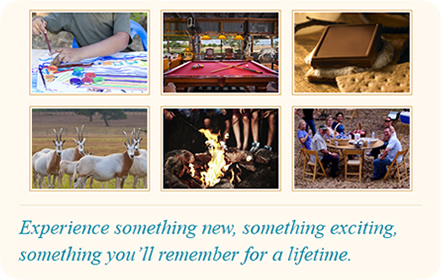 With 14 employees on staff that have extensive experience with Picosa Ranch, the resort can be rented out in its entirety for both small and large groups. It is rich with history, as it was John Connally’s ranch before it was transformed into the current hunting grounds and resort. 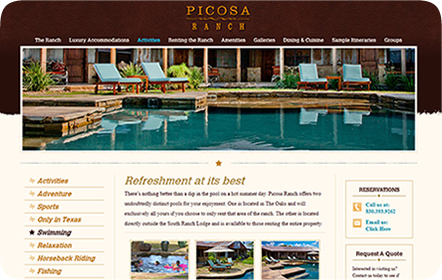 Picosa Ranch is an alluring escape from everyday life, offering a variety of services and amenities to all of its guests. 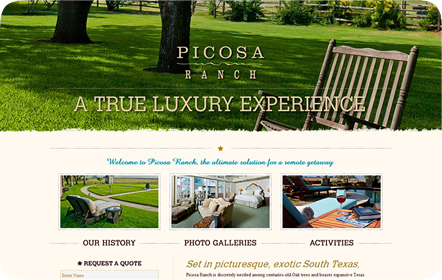 We were asked to capture both the uniquely Texan essence and the singularly luxurious experience Picosa Ranch provides to its guests. 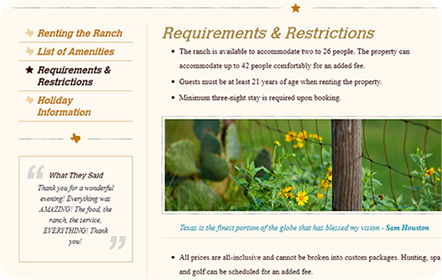 With these two ideas in mind, we built a website that competes with other national luxury ranch resorts. 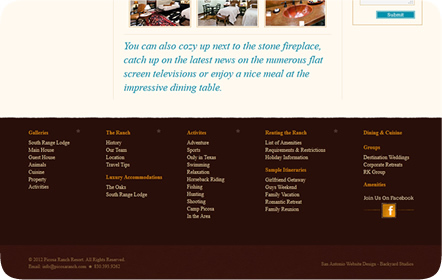 We applied the use of large imagery and multiple galleries to make the user feel as if they’re being truly invited into this expansive, beautiful estate. The invitation was graciously accepted by the public, as new visitors began to arrive to the ranch shortly after the website went live.